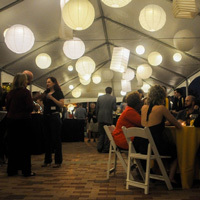 The Friday evening event during Webster's Homecoming, Reunion & Family Weekend has expanded. This year, the Shop, Rock & Glow Festival will celebrate the talent of Webster's alumni, students, parents, faculty, staff and members of the Webster Community. Vendors and performers who would like to take part in the Shop, Rock & Glow Festival on Friday, Sept. 23, should submit applications before July 15.